What worked and what didn't I think is going to be the theme. I'll start with what didn't, it is the shorter of the two lists. The 2014 QOVF Pins - Taking into consideration this was not a quilter's event but an event full of other crafts the sale of pins was not considered to be a mover and shaker. It wasn't. I even tried giving them away to folks that made donations of $5 or more. No takers. Sign Up Sheet - for attending QOV Sew Ins. We pulled in 29 new Names, phone numbers and emails that all had an interest in sewing for QOV. Almost all were experienced quilters and a few new to quilting but wanted to be more involved. Brouchures, Pattern Sheet and Bare Bones Handouts - Huge success. Generated a lot of interest in QOVF, what it does and how it does it. I'm betting Elaine will get some request from this. The pattern was a big hit with sewers that don't quilt. Very interested in making blocks sending to Elaine and having them made into quilts. The Basic Requirements (Bare Bones) also drew interest. I would say the majority went to quilters or friends of quilters that didn't know just exactly how to go about making a QOV. They know now as well as the friends were going to pass them on to others they knew that had the same questions. Thank You Cards - We got 50 cards completed. Some were from the kids but the majority were adults. It was nice to see. Raffle Quilt - We sold 150 tickets for Moon Over Miami. Elaine was quite pleased. The Winner was drawn at 4 PM on Sunday. She happen to still be in the building so we were able to get her photo. Pat C. was very excited. She was thinking of using it for a new grand baby's crib. That was until Elaine mentioned it had a sleeve for hanging. The baby will be getting something else. If time allows we will get another raffle quilt in the works. Donations - We took in $148 in donations. We were very pleased. Not sure how that would work out. We were going to 'stuff' the container on the first day. It had like $10 in it before Elaine got to it. Too cool. Next time we set up we will eliminate the "pin" verbiage and the "check" information and elaborate more on the cash donation opportunities they have while visiting our booth. Photo Display - As shown below, far left. We will be increasing the size from 4X6 to at least 5X7. We have another display board we will be using for more photos. They drew a lot of interest. We had some candy as well...Thanks Marianne. That lasted about an hour and a half. We went out an bought some to finish the other 2.75 days. There was a candy vendor several booths from us. He was selling his stuff for $30 a pound. Yours cleaned his clock. 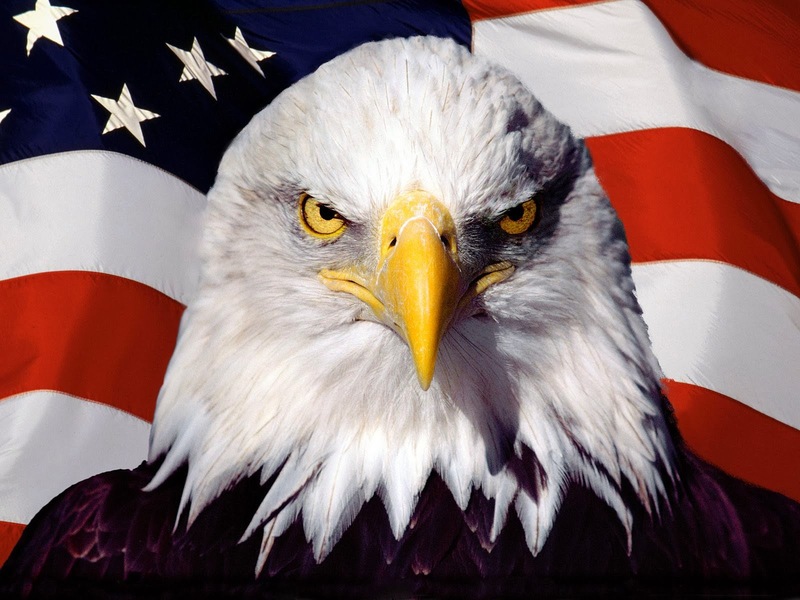 He didn't have one piece with the Eagle, Globe and Anchor on it. What a dud. Visitors - A lot. When she wasn't sewing on the Red Eye she was talking. And there was a lot of talking. We even got some help from Susan. She is in one of the Bees Elaine belongs to and was a tremendous asset. You'll find this particular Bee to be very QOVF active. The talking with the Festival attendees will go down as our biggest success. 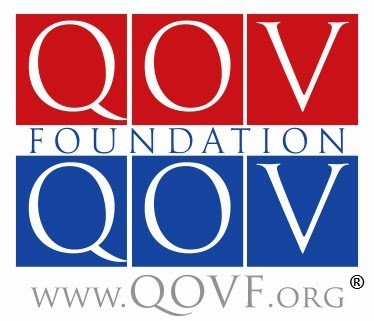 There are several hundred, probably more, that now know about QOVF. Our opening line when someone walked up was, "Are you familiar with Quilts of Valor?" I have to admit the number of "No's" was shocking. We are the home of the largest Naval Base on this Earth, a Master Jet Base, Oceana, minutes from Langley Air Force Base and numerous other installations including the home of Seal Team 6. Their gonna know now...them not knowing was a huge motivator. More sewing and more talking...led to some very rewarding contacts. Elaine made two exceptional contacts. One was the Branch Manager of the Norfolk Public Library, Little Creek Branch. You know the one across the street from the home of Seal Team 6. She has offered use of the Conference Facility for Sew Ins and other events we may like to put on there. The other was quite a shock. She knew about us (QOVF) but hadn't met anyone that was associated with QOVF. She was more excited than Elaine about QOVF and that's hard to be. She wants us to set up booths just like this one several times a year in her little facility. Lynn is the Service Operations Manager for the Navy Exchange (NEX) on that little base I mentioned, you remember, the largest Naval Base on this planet. And wouldn't you know it, one of her bestest of buddies is the NEX Service Operations Manager on that Master Jet Base. Well don't that beat all. Darn the luck. It was a success, huge success but it wasn't just Elaine's planning and execution. She had some help from some very special people. Yes they are associated with QOVF. Elaine spent some time on the phone with both Betsy P and Marianne E. Their input, experience, willingness to share falls into the Master Card category of PRICELESS. Lastly, but most certainly not the least of importance at all.,we made a presentation to a WWII veteran, Ernest. No pictures as we have not received them. Naturally it was special, they all are. But in this case it was the grandfather of the EMG Manager, Steve, that runs the Festival. Well not only did the grandfather not know he was getting awarded a Quilt of Valor, but neither did the grandson. Steve's Event Director, Denise was Elaine's contact. Elaine explained what we did during their numerous phone conversations. Well Denise, in passing, ask Steve if his grandfather was a veteran. He confirmed he was and that was it. All about a month ago. So when he escorted his grandfather to our booth under Denise's direction when we went into the presentation he was as shocked as his grandfather. Steve would come by later to tell us his grandfather was a little 'lighter in step' for the rest of the day. And you could tell Steve was too. Go ahead ask us...Why do we QOV? Any day that we have the opportunity to award a Quilt of Valor is a good day. But just like some steak dinners are good, others are great. This was a Saturday that falls into that great category. We started Saturday at Station 10 in Hampton, VA. The son of one of our friends and fellow guild member, Diane B., works out of this Station. His service was with the US Army. His tours would have him serving in Iraq, Afghanistan and Kosovo. The Ladder Truck, Squad and Engine had been moved out for daily cleaning and maintenance so we took up the Bay. Looking on were Joshua's coworkers, his mother, wife, brother and friends as I read the presentation message. We moved outside with the equipment to get a couple of photo's. Me, Elaine, Joshua and his mom Diane. Okay so I had a pretty good time. What kid could resist an offer to climb up on a Ladder Truck. Certainly not this one. Just having too much fun. And it's like only 9:00 in the AM. From here we would be headed back to the Hampton Convention Center and day three of the Mid-Atlantic Quilt Fest. As a result of this years event and being in the right place at the right time I got to meet two fellow Marines. As it turned out with Peter M. we had quite a few similarities in life. Marines, month and year of birth, Vietnam, same places, same time, different units. We both have a brother named David, we both are retired law enforcement, he NYPD while I spent a career with the CHP. While members of our respective departments we became involved in training and spent time at our Academies as instructors. And the unknown crossing of paths for these two 19 year old Marines, that would be three before the show was over, would cross again 48 years later. Pete and I got a pretty good laugh out of this crossing. Pete, "Would you have guessed 30 years ago we would be involved in quilting?" Me, "Not in a million years." Pete was working the streets of New York and I the highways of Los Angeles 30 years ago and I can assure you quilting was not in our vocabulary. Also roaming the halls of the Mid Atlantic Quilt Fest, the one managed by Pete's company, was Jose C. Jose had made the Marine Corps his career for 30 years, not only would he find himself in harm's way in Vietnam but Iraq as well. He was now working as a Technician for one of our local Quilt Shops and was doing duty in one of the many classrooms, diligently watching over the many quilters and machines to keep things running smoothly. That's what Marines do. It would be on the first day of the show that he, I and Pete would meet up. I had met Pete the day before. As it turned out Jose was also in Vietnam at the same time. I don't even want to try and figure out the odds of three Marines, serving in Vietnam at the same time in different units hooking up 48 years later at a Quilt Show. But it happened. So what is Marine suppose to do. Improvise, adapt and overcome. Not to mention scramble to get two quilts ready for an impromptu and very surprising Award. With the help of Pete's brother David we were able to get Pete into Jose's classroom just prior to the classes lunch break. We had told Pete we were presenting a Quilt of Valor to Jose and it would really be good if he and his wife could make it by. They did. I would be lying through my teeth if I didn't say this was the absolutely hardest time I've had trying to keep it together for any Award. I made it, barely. It was capped off with Pete saying, "I'll cherish this forever." Go ahead...Ask Me Why I QOV. Some of the onlookers. The lady kneeling in the center of the photo was the class instructor and key to all of this coming together. Her allowing us some of her class time goes in that priceless category. To my left Peter M. and Jose C. Two Marines I've known a lifetime that I met over the last two days. If that doesn't make sense just chalk it up to it's a Marine thing. I'm here to tell you this was special...I personally know the quilters that crafted these and I longarmed them both. It made it all the more special that I had something to do with the making of these quilts. Are they all special. Yes each and everyone. Do some come along that pull just a little harder on the heart. Yes, yes they do.